When your aging parent expresses a negative attitude when talking about the future, their pessimistic outlook may be a direct effect of social isolation. 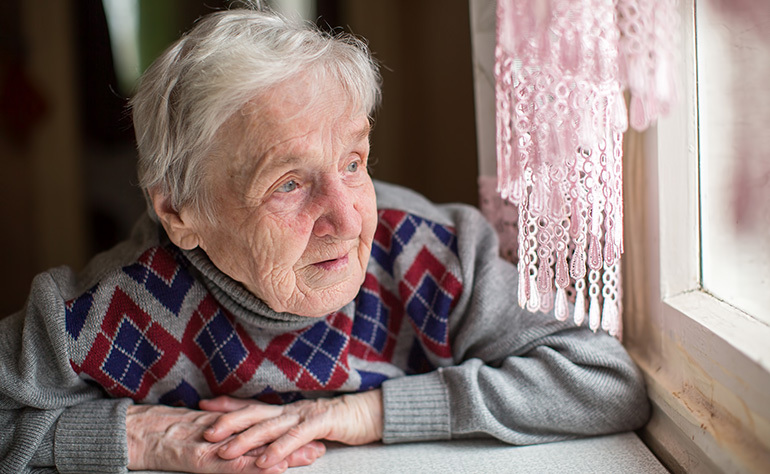 If your loved one questions whether they will be around a year from now, it’s a strong indication that they feel lonely in their day to day lives. As we age, changing circumstances often limit our ability to maintain the social gatherings we used to have, travel as much or drive the way we used to. This can often lead to a loss of independence resulting in social isolation. Encourage your aging parents to seek companionship services by highlighting the benefits of being able to do activities they used to once. With the onset of summer, share a list of local events they would like to attend and find a caregiver that best suits their needs and who can accompany them. Physical activity is directly linked to mental health. Exercise is crucial for all seniors; it can help boost mood, productivity and health. Keep an eye out if you notice that your loved one isn’t getting enough exercise. Accompany them to their doctors once in a while to understand their physical and emotional state better. Studies show that loneliness can be contagious. The aging experience often involves the painful truth of having to see your friends’ age and pass away. If your loved one’s peers have taken measures to deal with their loneliness, talk to them and find out what helped. They criticize themselves and consider themselves a “burden.” Self-criticism in seniors is a marker for depressed thoughts. Their claims that they don’t want to bother you may actually mean they are asking for help indirectly. If your loved one is showing some of these signs, they might be putting on a brave face to mask their feelings of loneliness. The first step to addressing your loved one’s loneliness is to recognize that you are not at fault for their feelings. Companionship is just as important as assisting with housekeeping, medication reminders and other needs that seniors have. We know the incredible benefit that a little walk and a little talk can have, and Bayshore caregivers can be there for both of you when help is needed. If you are unsure of where to start, we are here to support you and your family through every step of the care process.